Calling all hair and beauty lovers! Check this one out – the Official Haircare Product of London Fashion Week, label.m, has added to its roster of on-going designer partnerships with an exciting announcement of a new collaboration alongside critically acclaimed designer – Mary Katrantzou for summer 2017. 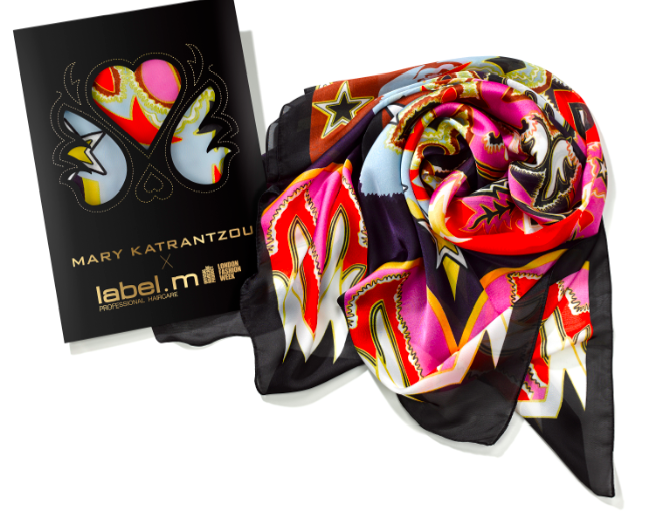 The exclusive scarf that features Katranztou’s Rodeo & Juliet graphic print is available in selected salons and online and will be free with purchases over £30.00. This entry was posted in Beauty & Grooming, LFW and tagged collaboration, Label.m, LFW, london fashion week, mary katrantzou, SS17, TONI&GUY. Bookmark the permalink.